Mini sized, unique bollard design with a white colored light output from 2 LED's. This fixture is all aluminum with a clear polycarbonate, vandal resistant, lamp shade. 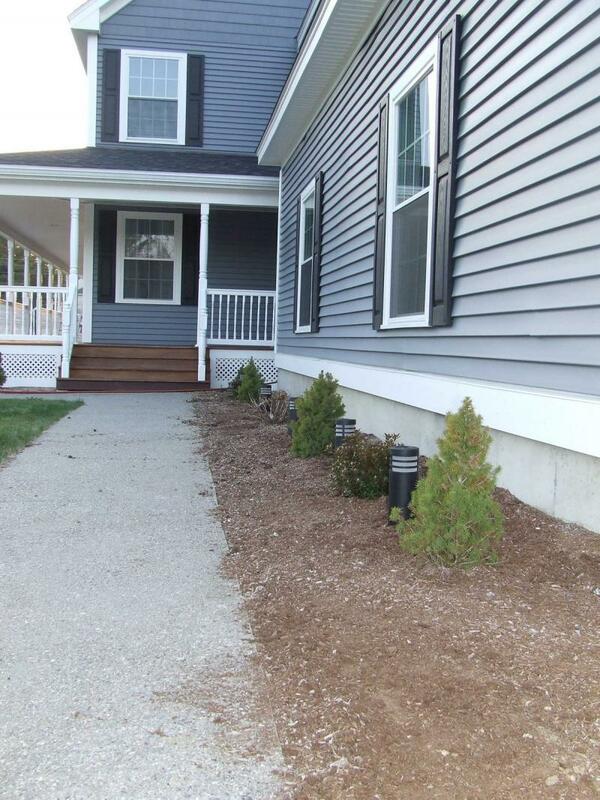 Perfect for entrances, parking lots, pathways or driveways. May be used in either a residential or commercial environment. Light output via a circular array of two high intensity white colored LED's within the lens section. 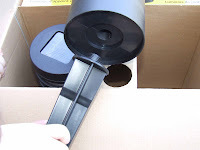 This bollard fixture will simply bolt or screw down onto any solid, flat, horizontal surface as 4 holes are pre-drilled into the circular base plate. Color of light output is white. Color of fixture is black. Today I received the perfect gift for Earth Day. As you can see I installed them this afternoon after work and I was VERY impressed not only with the quality of the lights but also the ease of installation and the simplicity of the system. My wife and I have wanted to put solar bollard lights along our walkway since we built the house and I've been putting it off mostly because I couldn't find any lights that looked "rugged" enough to handle the elements and my sons outdoor torture! Let me tell you I was pleasantly surprised at thequality of these lights. The solar Bollard light housing is made of cast aluminum which I think is great because most solar lights on the market are made of plastic. 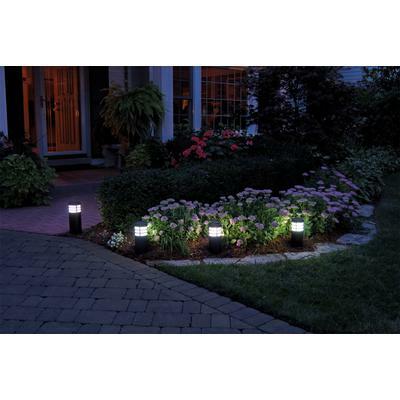 These solar garden lights use two white LED light bulbs and an interesting conical mirror surface to reflect light. The end result is a very bright white light that surely beats many of the solar lights on the market. I think what impressed me the most was the simplicity of the design and quick installation. Basically the top of the "canister" or housing has a solar collector on it. Under that top cap is a rechargeable battery and two LED light bulbs. You simply remove a piece of tape that keeps the battery from being charged and screw the top cap back on. There is also a switch on the bottom of the unit which allows you to select between high/low brightness. This allows the unit to run longer during raining months when the suns strength is weaker. 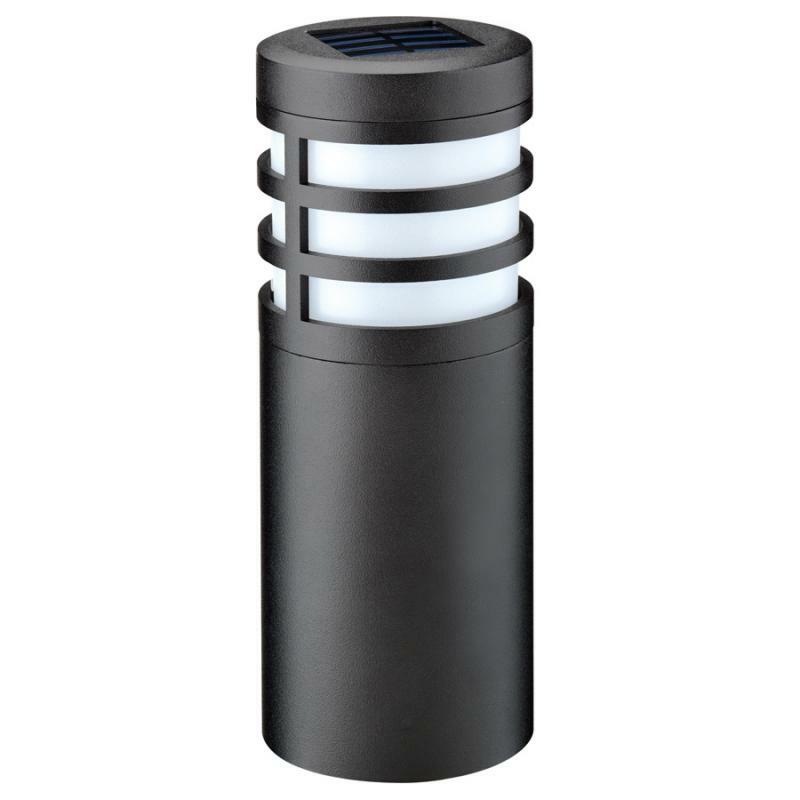 The high/low switch is certainly a unique design idea that should enhance these solar lights. Then all you do is screw into the bottom of the housing a "landscaping spike" which allows you to sink the spike into the soil which in turn supports the light. One word of caution, you really should loosen the soil with a bar or screw driver prior to installing the landscaping spike. I'd also install the spike first then screw the light housing on after. I installed eight lights in about 15 minutes which really does tell you how simple these lights are. On a scale of 1 to 10 this is certainly a skill level of 1 when it comes to DIY projects. I would highly recommend this product to anyone that wants a quality solar walkway light or garden light.